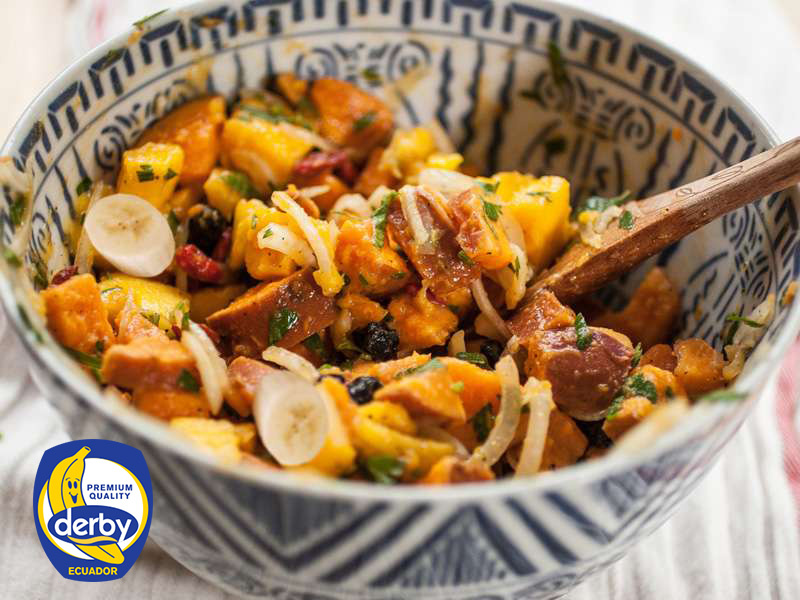 Banana - potato salad | DERBY® PREMIUM BANANAS RASTODER Company - DERBY bananas and other fresh FRUIT and VEGETABLED for you! You do not have to serve bananas as sweet. Why not combine them in a hot-cold salad, with potatoes perhaps ? Cook the potatoes, cut them it into quarters and let it cool down. Cut the bananas into collarbones. Mix in the bowl olive oil, vinegar, mustard and honey. If desired, add salt and pepper. Add the remaining ingredients, mix it gently and serve it.